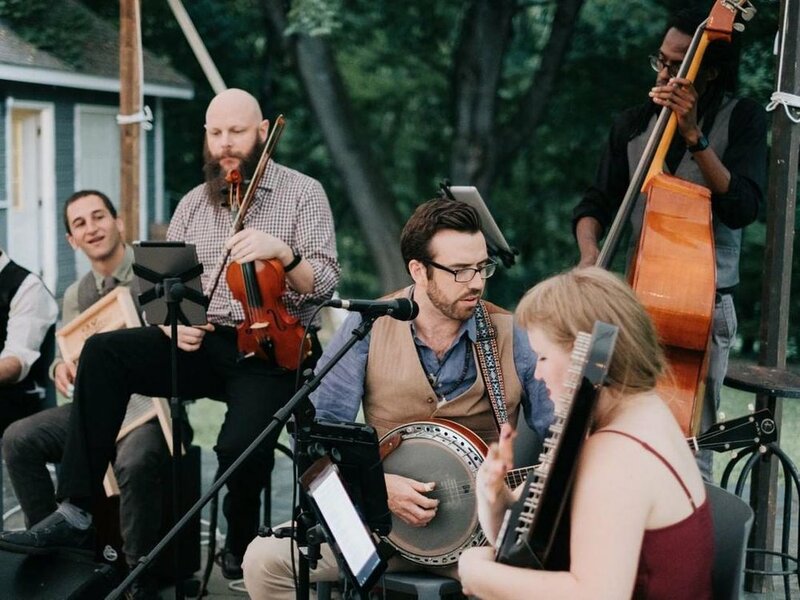 Moxie Jazz and moonshine bluegrass at Wedding Crashers on 3/17! Come check out performances from Moxie Jazz and moonshine bluegrass at Wedding Crashers (the coolest wedding fair EVER) on March 17th! We’ll be performing in the early part of the day, we don’t have firm set times yet, but we know we’ll be done by 2:30pm. We’ll also have a table at the fair so come on over and say hi! talking hudson valley weddings with brooklyn based! Brooklyn Based wanted to chat real pricing for Hudson Valley weddings, since they’re all the rage these days and we play ‘em all the ding dang time — cuz we love ‘em! Check out this great, comprehensive article on all the different aspects of pricing a wedding in the Hudson Valley, from venue to food to music and more! Looking to catch MIXTAPE live? Come to the Bell House on Sunday, March 18th and check 'em out! Their set is at 6:40 and only lasts 15 minutes so don't be tardy to the party! Moxie & moonshine live @ Wedding Crashers on 3/11/18! Looking for an opportunity to check out Moxie and moonshine live? Come on out to Wedding Crashers at the Green Building and 501 Union on 3/11/18! We'll be performing (sans percussion) in the front room of 501 Union, 2:20-3:05 - moonshine bluegrass and 3:15-4pm - Moxie Jazz. We'll also have an mmm...bands table set up in the main gallery of 501 Union if you wanna swing by and say hello. Tickets available here, and you can get $10 with promo code IDo -- wahoo! PS: The following Sunday, March 18th, MIXTAPE will be performing for Party Crashers at the Bell House at 6:30 pm. Tickets available here! Oh la la! Kaileigh and Grant's gorgeous wedding is in BRIDES! Photos by Amber Gress, design and planning by Jove Meyer events, flowers by Rebecca Shepherd Floral Design, cake by Momofuku Milk Bar, and the venue was the ever fantastic Bowery Hotel. Such a sweet couple and stunning wedding with a fantastic team!